It's a well known fact that every bachelorette party has a required list of "necessities" and "regulars". Of course, at the top of that list is the bachelorette, followed by things like alcohol, reservations at a nightclub / restaurant, transportation, food – you get the idea. There are, however, certain provisions that may be forgotten, and while they aren't essential to the actual party itself, they certainly do help for making the night all the more enjoyable. Whether you're planning a night on the town for your BFF bride-to-be or simply arranging an at-home night of mini-events and games, there are things that must be present for the night to be a complete success. One of the most important supplies for any bachelorette party is the sash. Typically colored in a bright pink, this adornment will make sure that anybody within range of the bachelorette herself will know who the focal point of the party is supposed to be. In strip clubs and nightclubs, the coveted sash will help the bride-to-be stand out, making her an easy target for free lap dances or free beverages. 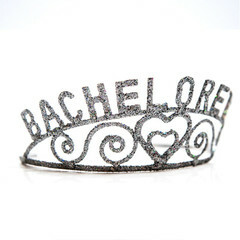 Some may go for the bachelorette crown, but where the crown makes the bachelorette look like a self-important prude, the sash just reads out "party animal". If the bride's party is set to take place in the confines of a bridesmaids home, then you won't have to worry about keeping things a little more lighthearted to keep from offending any establishment owners or nightclub security. In short, the party should be as sexual as ever. For whatever reason, when women get together the male genitalia turns into an entertaining conversation piece and becomes the perfect decoration to hang on string or stir your drink with. At any adult store, more specifically the Adult Mart on Boulder Highway in Las Vegas, you'll find a vast assortment of favors, decorations, and games revolving around every straight women's favorite male accessory. Leave no corner of the house untouched by this human ornament and the bride-to-be is bound to be in a giggle fit for the entire night. Not all favors need to be made up of a twig and berries to fit into a bachelorette party. When you think of this type of night, you should consider the fact that it should be a fun-loving and slightly immature event for the bride-to-be to enjoy prior to giving her life up to the supposed man of her dreams. Maybe you'll want to bring her back to a younger age where things weren't so complex and final, and while it may sound difficult to do with simple supplies and décor, you'd be surprised to find what candy necklaces and leis can do for a person's maturity level. Fill the bride up with decorative sugar and throw a lei around her neck to witness the magic behind this items first hand. You can depend on the power of alcohol and the party atmosphere of a nightclub like Rain to drive the bachelorette party's success, but it is always best to have little back-up items that can add little touches to the party itself. 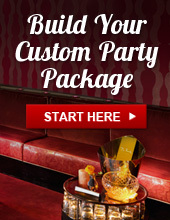 From naughty decoration to stand-out accessories, every bachelorette party could use a few materials to help make it a success.